(2017/Iron Montain Analogue) 16 tracks from Country Music's tormented testament 1952-1974. 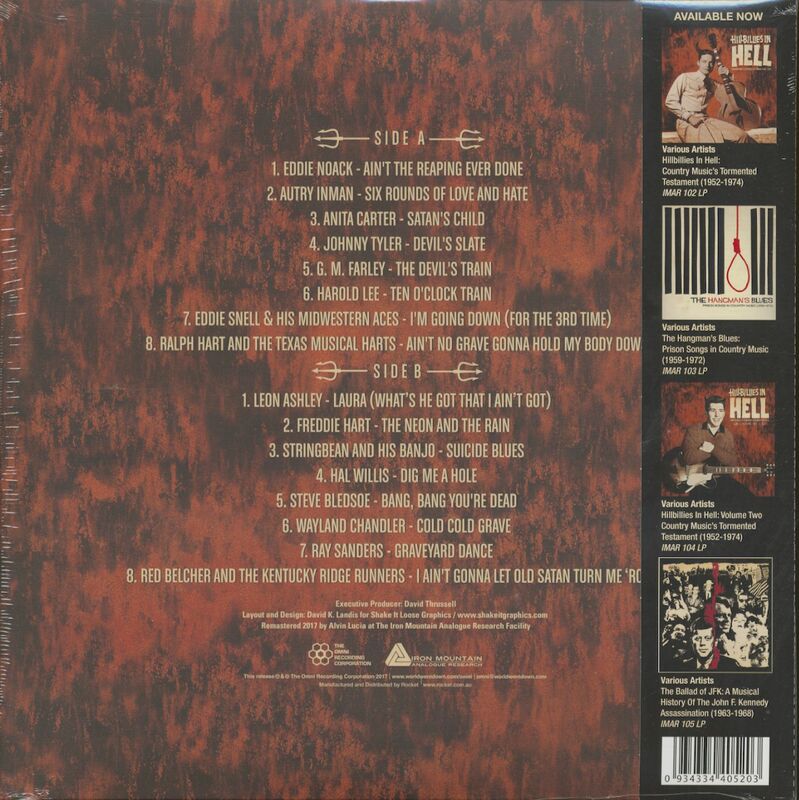 Heavy Cardboard Gatefold Cover with track by track notes, photos and label shots and pictures. Down, down...deeper into the infernal depths. More unknown and unheralded Hillbillies and Delinquent Hayseed Balladeers. They croon. They yodel. And the flames leap ever higher. Cut on microscopic or private-press labels and distributed in minuscule amounts, these Tormented Troubadours sing of Satan, His diabolical offspring, the Grim Reaper, sinful trysts, suicide, murder, Devil trains, inebriates, cuckolds and lustful cadavers - all in one handy LP package. 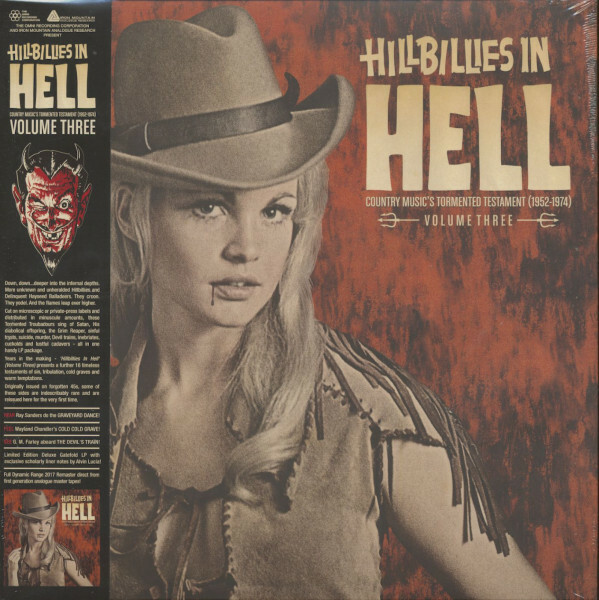 Years in the making - 'Hillbillies In Hell' (Volume Three) presents a further 16 timeless testaments of sin, tribulation, cold graves and warm temptations. 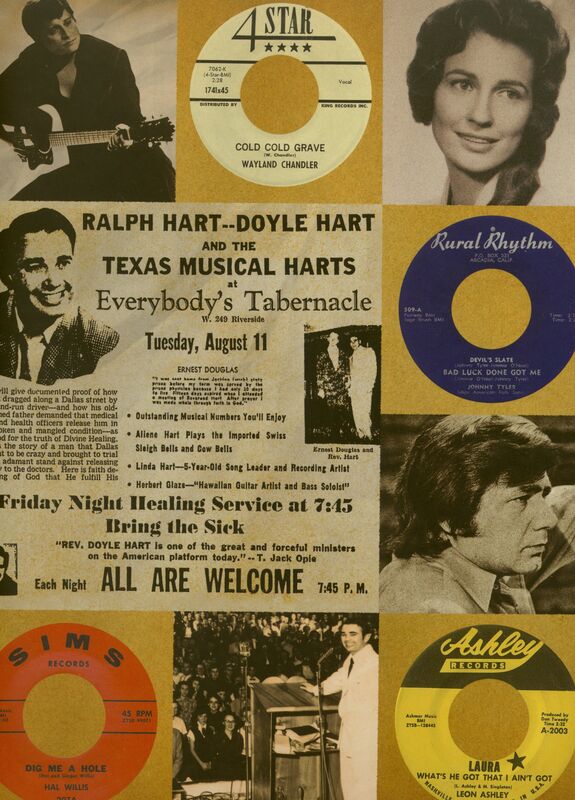 Originally issued on forgotten 45s, some of these sides are indescribably rare and are reissued here for the very first time. Hear: Ray Sanders do the Graveyard Dance! Feel: Wayland Chandler's Cold Cold Grave! See: G. M. Farley aboard The Devil's Train! Kundenbewertungen für "Hillbillies In Hell Vol.3 (LP)"